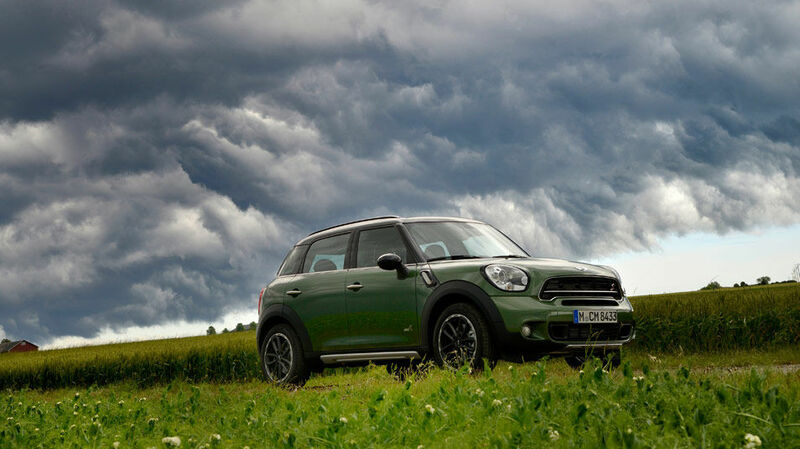 The 2016 MINI Countryman offers everything you love about the MINI brand and its terrific ride -- outstanding performance, unique appearance and with a little bit more space and versatility. 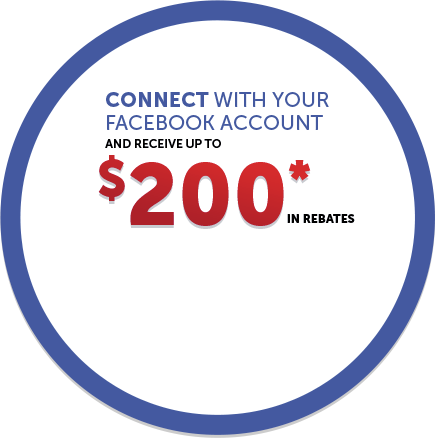 Moreover, this model offers all-wheel drive, which makes it even more capable in any driving condition. It is available in three different variants: Cooper S ALL4, the very well-equipped Park Lane Special Edition and the powerful John Cooper Works ALL4. For 2016, the MINI Countryman comes with new trim and paint-color options and is now available in the brand new special-edition model called the Park Lane. Under the hood, this practical MINI is outfitted with a 1.6-Litre four-cylinder 16 Valve turbocharged engine that outputs 181 hp and 177 lb-ft. of torque on the Cooper S ALL4 and the Park Lane Special Edition, while kicking it up a notch for the John Cooper Works ALL4 variant, developing 208 hp and 196 lb-ft of torque. A 6-speed manual transmission is standard on every variant, with a 6-speed automatic available, as an option, on the Cooper S ALL4 and the Park Lane Special Edition. Every variant comes loaded with standard safety features such as dynamic stability control (dsc), brake assist, cornering brake control (cbc), crash sensor, 7 smart airbag deployment system, and dynamic traction control. 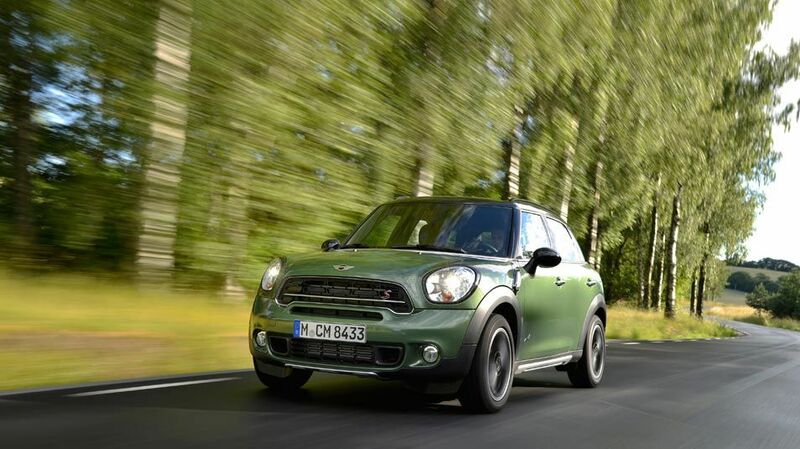 The MINI Countryman offers great fuel economy, with a combined (city/highway) fuel mileage of 8.6L /100 km on the manual gearbox and 9.0L /100 km on the automatic. 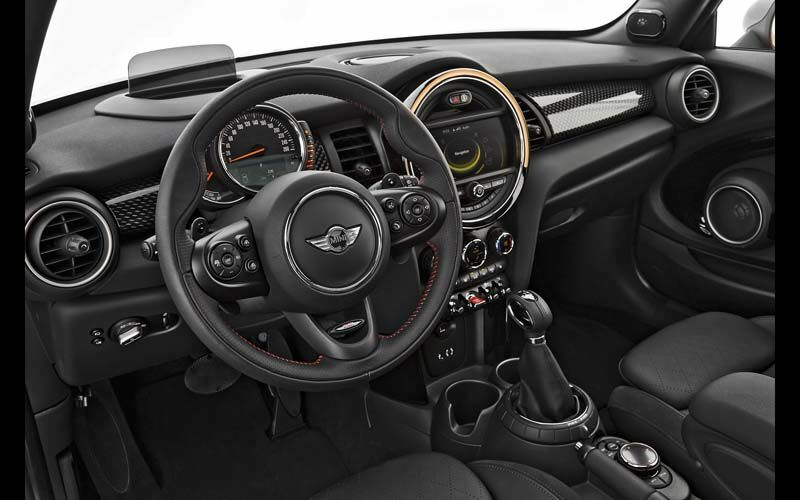 Inside, the Countryman offers space and sportiness, with a touch of luxury. All trims and variants are well-equipped with standard features like a multi-function leather steering wheel, cruise control, velour floor mats, on-board computer, acoustic seat-belt warning, power windows (with one touch feature), start/stop button, tilt & telescopic steering column adjustment, ambient interior lighting with multiple coloured light selection, 3 seat rear bench and folding 40/20/40, sport seats. The park lane also boasts an auto-dimming interior mirror, carbon black leatherette upholstery, automatic climate control and sport button start. 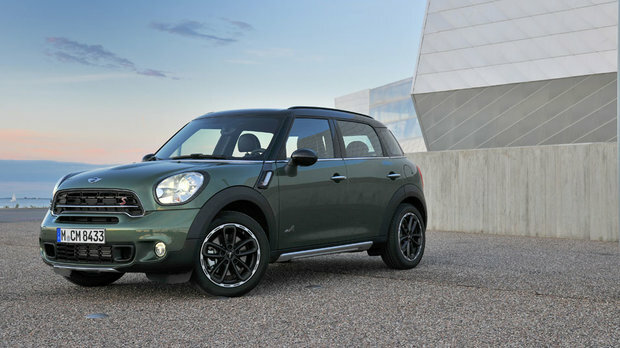 From the outside, the MINI Countryman offers a combination of style and great looks with signature MINI elements. All variants come standard with door handles in chrome, fuel door in body colour, rear spoiler and front fog lights. The John Cooper Works ALL4 variant comes with the John Cooper Works Aerodynamic Kit. 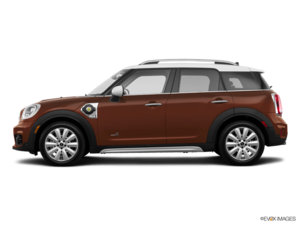 The Countryman Park Lane is offered only in an earl gray metallic paint with oak red roof, standard bi-xenon headlights and white turn signal lenses. 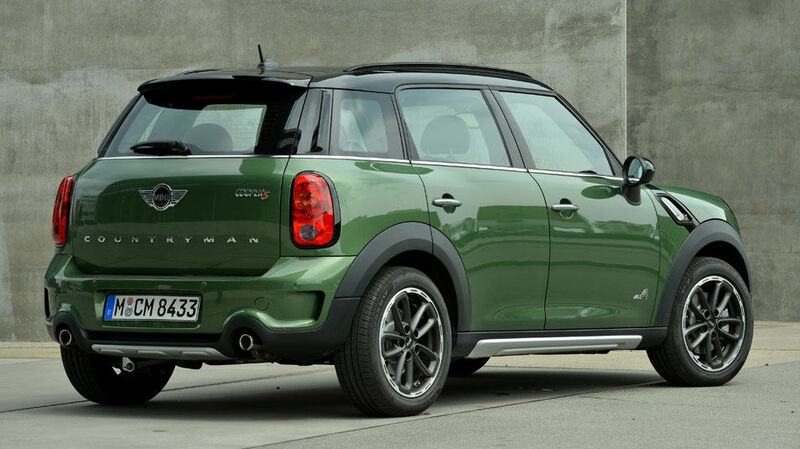 The MINI Countryman offers a bigger package for those looking to get the sportiness of the MINI with more space inside and out. 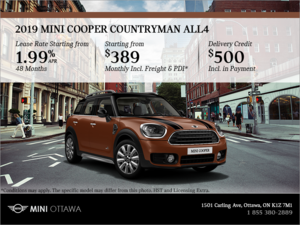 Come and see it at MINI Ottawa!